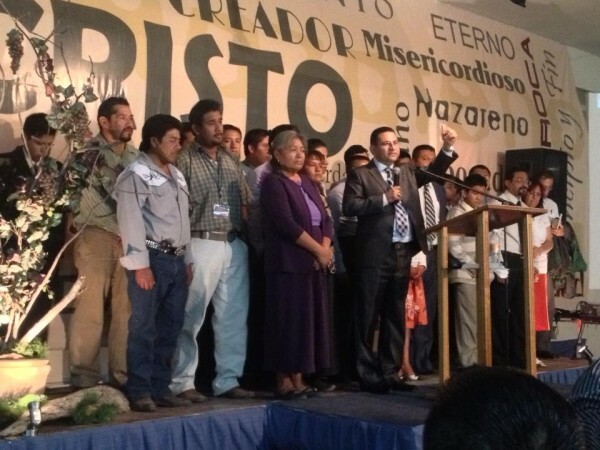 2013 Leadership Conference in Puebla, MEX. 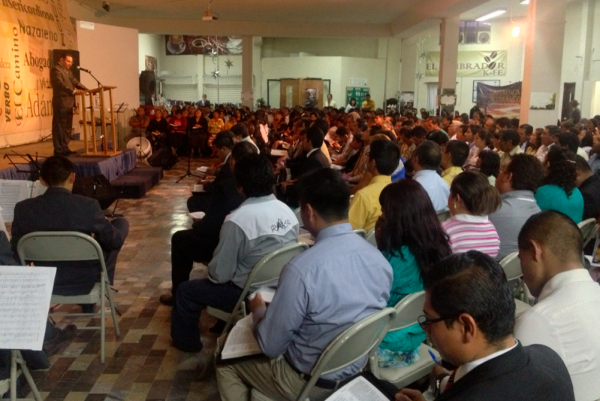 This last week we had our annual revival conference in our church in Mexico. We had an amazing time with 470 people attending the conference, and 27 surrendered their life for full time service! We also had 30 different pastors and missionaries that came from seven different states to attend the conference. We had 470 people in attendance during our Conference. We had to rent a building to have our Conference there. Our guest speakers were: Pastor Luis Ramos from San Luis Potosí, Pastor Luis Parada from Long Beach, CA, Pastor Alejandro Córdova from Celaya, Mexico and Pastor Kevin Wynne from Mexico City. 27 People Surrendered for Full Time Service! 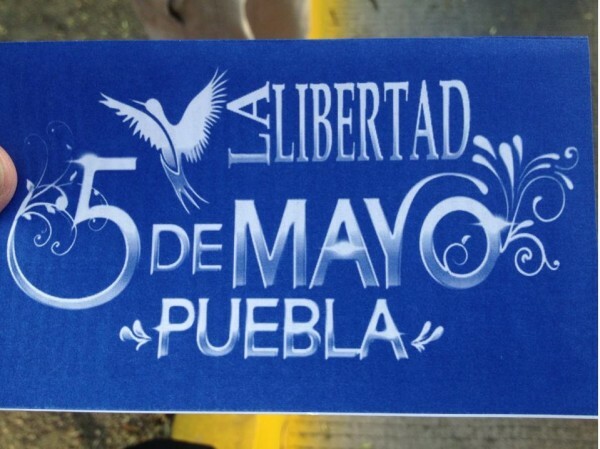 Sunday was Cinco de Mayo (fifth of May) and we went to give out 20,000 tracts to the people that went to see the city’s parade celebrating the Battle of Puebla. We started at 8:00 am and by 8:45 am we were done! 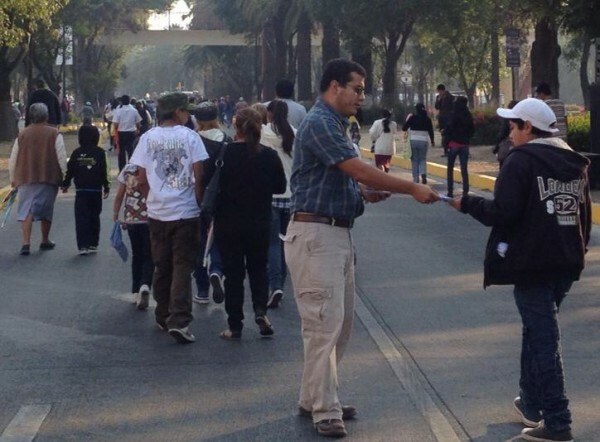 Many people come to see the parade every year and we hope that many got saved while waiting and reading one of the tracts. This is the tract that we gave out during the parade. I can send you the format if you want to print some. 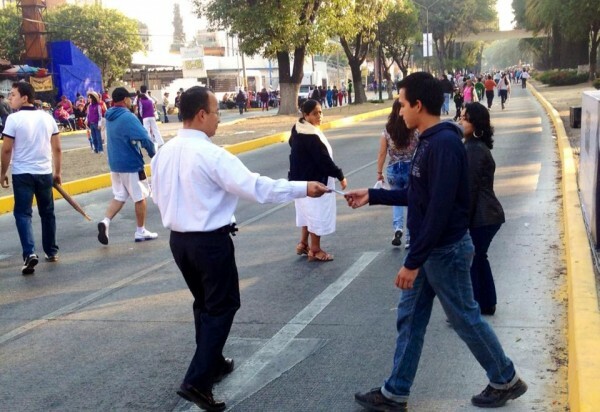 We gave out 20,000 Tracts during the 5 de Mayo Parade in Puebla! 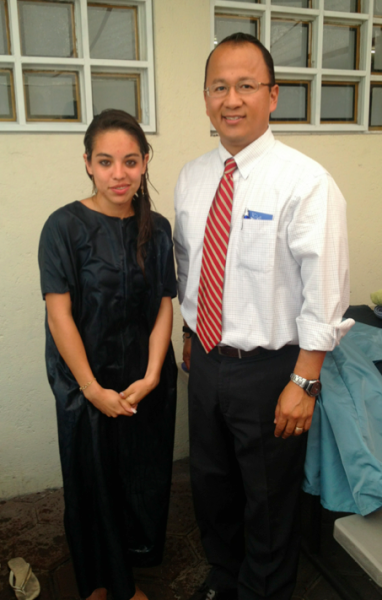 That same Sunday, we had three people saved in our church on Sunday morning and one young girl named Karina got baptized. Praise the Lord!